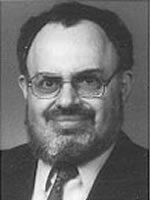 Stanton Friedman is a physicist (specialized in nuclear physics) and a prominent ufologist, currently residing in Fredericton, New Brunswick, Canada. He is arguably the best-known UFO lecturer in North America, and has made a living writing books and giving paid lectures about his views regarding the UFO phenomenon. Friedman has reached the conclusion that a small fraction of documented UFO reports are observations of physical machines designed, built, and flown by an alien species from another planet to visit/study the earth. He is unique amongst those who advocate such ideas in that he believes these machines are designed and operate according to physics and technologies that are entirely plausible within modern human understanding...albeit beyond present human engineering. He is an expert on the 1952 Eisenhower Briefing Document, the first civilian investigator of the Roswell Incident, has given over 700 lectures about UFOs in 15 countries, and been to 19 archives. He works together with Ryan Wood and Robert Wood on the analysis of the Majestic Documents. Stanton T. Friedman, Nuclear Physicist and Author, was born in New Jersey on July 29, 1934, was valedictorian of his 1951, Linden, NJ, high school class, and spent 2 years at Rutgers University in New Brunswick, NJ, before switching to the University of Chicago in 1953. He received B.Sc. and M.Sc. degrees in Physics from UC in 1955 and 1956. Carl Sagan was a classmate there. He worked for 14 years as a nuclear physicist for such companies as GE, GM, Westinghouse, TRW, Aerojet General Nucleonics, and McDonnell Douglas on such advanced, highly classified, eventually canceled projects as nuclear aircraft, fission and fusion rockets, and nuclear powerplants for space. Since 1967, he has lectured on the topic “Flying Saucers ARE Real” at more than 600 colleges and over 100 professional groups in 50 states, 9 Provinces, England, Italy, Turkey, Germany, Holland, France, Finland, Brazil, Argentina, Australia, Korea, Mexico and Israel. He has published more than 70 papers on UFOs besides his dozens of conventional articles, and appeared on hundreds of radio and TV shows. These include the TNT Larry King UFO Special on Oct. 1, 1994, Nightline, Sally Jessy Raphael, Unsolved Mysteries, Entertainment Tonight, Leeza, Sightings, Canada AM and many more. He is the original civilian investigator of the Roswell Incident, co-authored Crash at Corona, and instigated the Unsolved Mysteries Roswell program. He was heavily involved in both the 1979 documentary UFOs are Real and the 1993, '96 videos Flying Saucers ARE Real. His interactive CD ROM “UFOs: the Real Story” was published in 1996. Top Secret/Majic (Marlowe & Co., NY) his explosive book about the Majestic 12 group, established in 1947 by President Truman to deal with crashed saucers, was published in 1996, and includes classified documents never before published. It is in its sixth printing. Stan anchored the affirmative team in an October, 1995, debate at Oxford University: “This House Believes that Intelligent alien Life has Visited Planet Earth,” garnering 60% of the member vote. On June 27, 1997, his TV debate team got 92% of 100,000 votes called in to ITV in London, England: “Are Aliens Visiting Earth?”. He has provided testimony to congressional hearings, appeared twice at the UN, and been a pioneer in many aspects of Ufology including the Betty Hill star map work, crashed saucers, analysis of the Delphos physical trace case, and challenges to the S.E.T.I. (SillyEffort To Investigate) cultists. He takes a clear cut unambiguous stand that some UFOs are alien spacecraft, that the subject of flying saucers represents a kind of Cosmic Watergate, that none of the anti-UFO arguments stand up, and that we are dealing with the biggest story of the millennium: Visits to planet Earth by alien spacecraft and cover-up by governments of the best data, the wreckage and bodies recovered n New Mexico, for 52 years. He has spent many weeks at a total of 18 document archives. He has also been involved in numerous scientific research and development projects since moving to Canada in 1980. Stan is a dual citizen of the USA and Canada and lives with his wife Marilyn at 79 Pembroke Crescent., Fredericton, NB, Canada, E3B 2V1. His e-mail is: stfriedman@majesticdocuments.com.